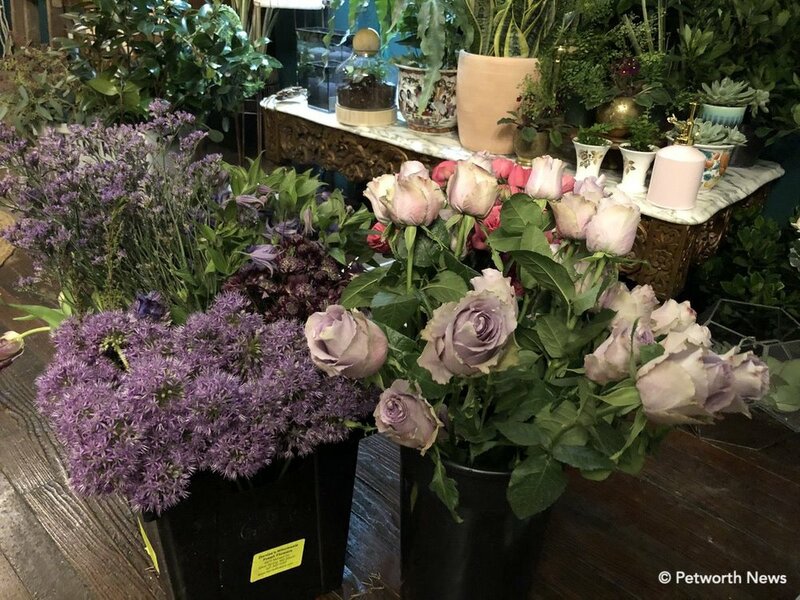 The new flower and crafts shop at 808 Upshur St NW is set to open on Saturday, January 26th. She Loves Me, the brainchild of owner Holley Simmons, is also the home to her other company, the Lemon Collective. Together, these two businesses will offer something new to Petworth, and owner Simmons is excited to share it with the community. With a mother who was a seamstress, Simmons learned early on the joy of making your own things, whether it's clothing to wear, or now as she's older, teaching other to create terrariums and other interesting art and crafts. Simmons now uses her passion for plants and flowers in opening She Loves Me flower shop downstairs, and sharing her love for crafting with the new home for The Lemon Collective upstairs. Andrew Dana, owner of Timber Pizza, who has partial ownership of 808 Upshur, approached Simmons about opening a flower shop in the space. When she saw the upstairs space, she knew she could move The Lemon Collective up there and begin their classes. The new flower and craft shop will have its grand opening as an all-day affair on Saturday from 10am to 6pm, with bagels from Call Your Mother deli in the morning, and canned wine from Saturday Session later in the day, along with Wild Kombucha and sandwiches from Dukes Grocery in the afternoon. Simmons, with florist Megan Adams and retail manager Nicole Capó, are working together to offer a wide variety of flower and plant inspired items downstairs at She Loves Me, including the usual and not-so-usual flowers, succulent plants, organic botanical based skin care, floral scented candles, face scrubs, books (all botanical), pre-made bouquets, and flowers by the stem. Megan recently moved to DC from Portland, who Simmons describes as an amazing florist. "When you open a flower store, you don't touch flowers for at least a year," she said, laughing. "You're just so busy doing other things." Her example was she already received three different inquiries about arrangement for local weddings just that day, and they weren’t even open yet. And while you can pick up that sole red rose, She Loves Me won't be your garden variety florist. “We're all about non-traditional," Simmons said. "We'll sell roses, but they'll be really unique varieties." 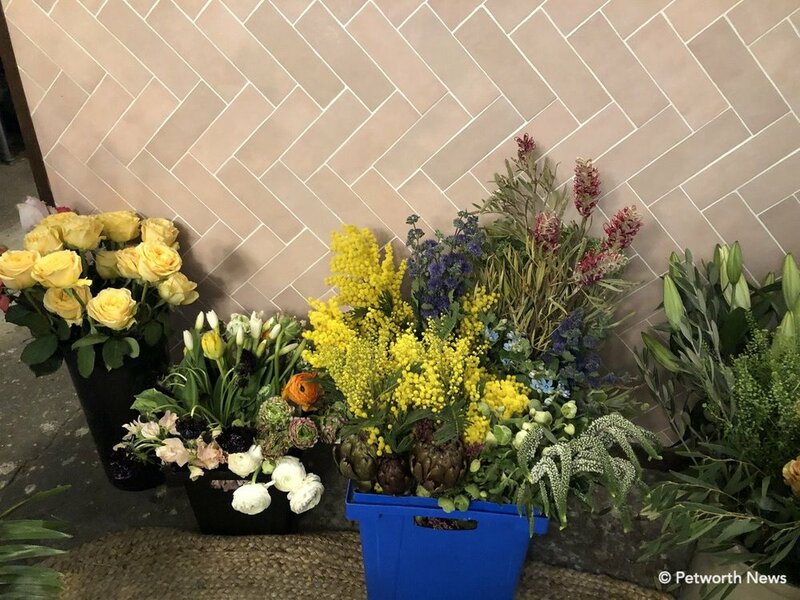 Simmons says there's very traditional types of florists who sell the typical flowers with the baby's breath, red roses and so on, but that’s not quite what they’re doing. “There's a new wave of people experimenting with different styles and pushing themselves, trying different trends. I see us as the latter." She said they'll have gerber daisies, which are my particular favorite, so I’m good there. She Loves Me will be able to provide arrangements for weddings and the like, as well as managing plants in corporate and business environments, and even renting out plants as needed (think realtors who are staging new homes or rentals). Some of the artwork available for sale. 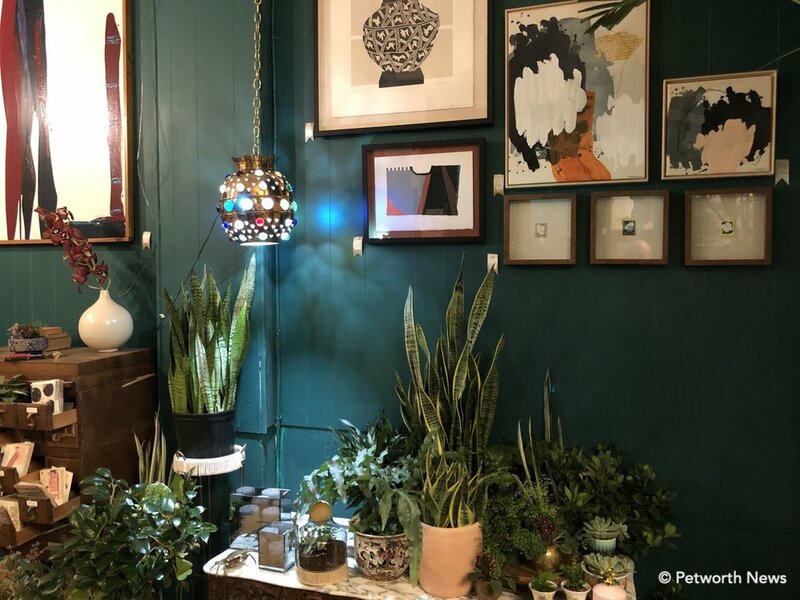 You'll also find jewelry, hand-crafted pillows and specially curated artwork along the walls, managed by Nina O'Neil (who runs Monochrome Collective) which will rotate every four months. The average cost of items in the store is around $30 dollars, with nothing in the store over $150 dollars, excluding the artwork. The pillows represent the high end of the spectrum. "The pillows are really beautiful," Simmons said. "They're made with Moroccan textiles and African mud-cloths. I worked hard to make sure the items were affordable." All of the classes are geared for adults, but children are welcome to the classes and in the store. “There’s nothing children-specific,” Simmons said. A class upstairs at the Lemon Collective. Swing by the opening on Saturday, and you might get a chance to meet Simmons’ 83-years young grandmother Rosemary Bongiovanni, who’s coming up from Richmond for the opening. When I pointed out that her team of women adds to the 6 other businesses on Upshur who are woman-owned, Simmons said, "Hell yeah, that's awesome."